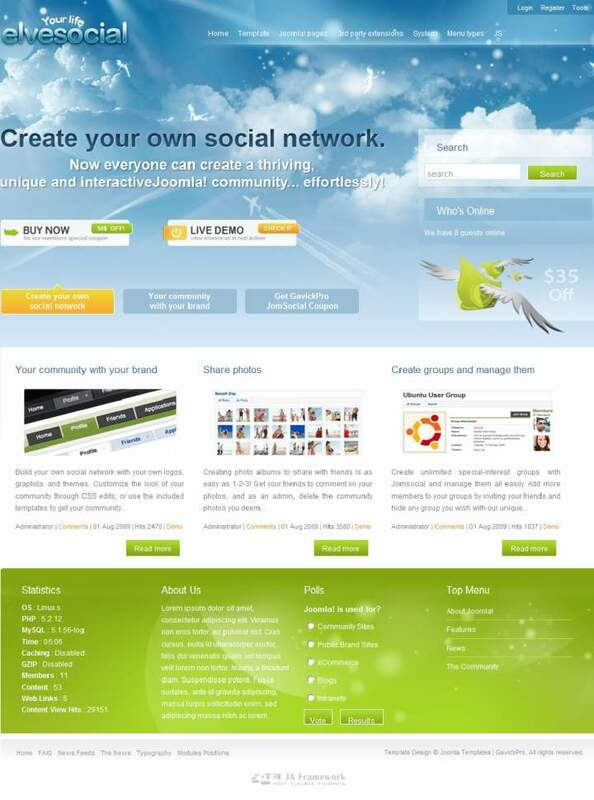 GK elveSocial - an updated version of the template used to work with the social network JomSocial 2.2. Developers worked very qualitative design pattern that looks great on any screen and mobile devices. Light decoration design suitable to create any site subject and complexity. This template is designed on the framework, professional studio Gavern Framework, for its operation, the power of HTML5 and CSS3. Built-in template manager settings to customize the appearance of the layout in a matter of minutes. Having the support of popular content management manager K2, gives special opportunities when working with the materials of the site.